SOMETIMES IN-LAWS ARE WORSE THAN OUTLAWS. Retired from teaching, rookie investigator Deena Sharpe wants justice for the wrongly accused. She also wants to impress her new boss. But when she trips over a dead body in the church’s haunted house, the police try to pin it on one of their clients. Can Deena defend a person she thinks may be guilty? To make matters worse, Deena’s mother-in-law has moved in and has plans of her own. She’s determined to teach her son’s wife how to properly cook and clean. But a clash with a nosy neighbor over the family’s dog sends everyone into a tailspin. Now, Deena must risk her reputation to sort through the secrets and lies of small town politics. However, when clues point to the pastor, his wife, and his secretary, she is stuck in the middle of an unholy murder case. 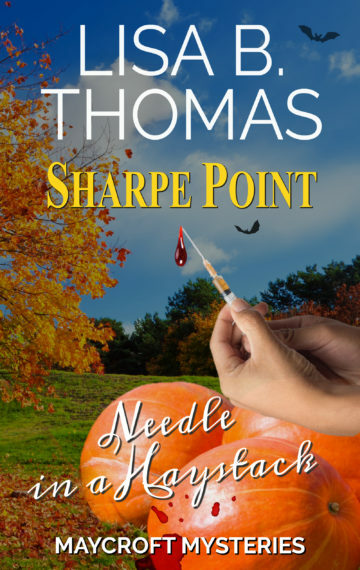 Sharpe Point, Book 5 in the Maycroft Mysteries, is a clean whodunit with plenty of snarky humor and a touch of romance. Buy it today to join in the fun.